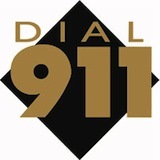 When you think of 911, you’ll probably automatically think of an emergency like a car accident or bank robbery. What about those “smaller” instances that require a quick resuscitation or the ever enjoyable stomach pump? As you’re setting up for the big event, you need to decide what degree of morbid you want to be present. To start setting up for this wacked out idea, you may find yourself hitting a road block with décor choices. You can go for the staple symbol of most 911 emergencies – the medical Red Cross. Slap a few of these decals around the event area, more specifically around the bar / coolers. If you’re a resourceful individual, you could set up sections of the room as different aspects of an emergency service. Invest in a life-sized dummy to sit in a chair and handcuff him to the leg of a nearby table; create a make-shift gurney out of plywood, a white sheet, and a rolling cart. Either throw a banged up dummy on it or use it to cart around some of the more intoxicated guests as the night rolls on. Really, this event is less about the actual concept of dialing 911, but rather about bringing people to the cusp of having to dial for emergency services – of course, not to the point where you’d actually have to. To get people to that point, you’ll want to invest in a lot of hard liquor. The bar should be stocked with enough alcohol to take down a herd of elephants. Deciding what to wear for the Dial 911 party is all dependent on what you want to be. Do you want to be on the receiving end of the call, or would you want to look like the caller? Being on the receiving end may not be as much fun, but it’ll certainly help in guaranteeing some female companionship if that “men in uniform” stereotype is true. You can pick up a really good police officer or EMT / Firefighter uniform at most costume shops, but you’ll find the most authentic on-line. Hell, you can even go the cheap way out and just wear a headset and call yourself a 911 operator. If you want to be the damaged goods that you would need to make the call, your options are varied. From car accident victims to some poor sap who was victim to a construction site incident, if you’re good with make-up and appliqués, you’ll have no problem pulling off some good attire. Avoid looking too much like a bloodied zombie, though – this isn’t a Halloween party.